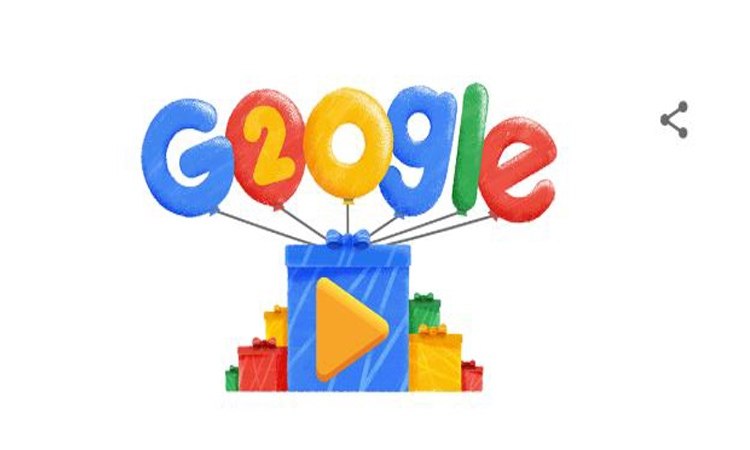 World’s largest search engine Google is celebrating its 20th year of birthday on September 27. Google’s doodle on its birthday has become the most attracting discussion on the internet. It has also written ‘20’ in that doodle. Google’s doodles have always been the center of attraction for every person who visits the search engine. Have you ever thought about the button labeled “I am feeling lucky”, which is included on the homepage of Google…What is the function of this feature…. So, after typing something by users, if he/she clicks on this feature, it will take him/her directly to the first search result (means highest ranked sites), bypassing (skipping) the search engine results page. This feature has similar functionality to Google instant. The only difference is that it takes users directly to the web page aft clicking on it. Whereas, Google instant works as a suggestion feature whiling typing in Google’s search bar. This feature is useful for users, but in fact, Google loses money by providing this feature. As Google makes its revenues, mostly by advertising within the search results. And because of this button, users take directly on websites, by skipping the search results. Thus it reduces the chances of earning money through advertising. Do you know some interesting facts about Google history like- how it was formed… who have created it…. Why it was created…. So, let’s know some interesting facts about the history of Google. 1) The world’s largest search engine Google started by Larry Page and Sergey Brin during a research project in 1996. Google.com domain was registered on September 15, 1995. 2) The Google company was registered on September 4, 1998. Today Google is available in more than 150 languages. 3) Twenty years ago Google was started by – Larry Page and Sergey Brin who was doing Ph.D. in Stanford University. They first created an internet search engine on the address of Google.stanford.edu. It was named BackRub and later changed to Google. 4) When Google was started in 1998, there were around 25 million pages was available on the world wide web (WWW). At that time Google’s algorithm was very good as if someone searches for anything, 2.5 crores of pages were giving information. 5) To provide the maximum information to people, this was the purpose of Google’s formation. 6) Today, Google is the world largest search engine. Now, it creates an operating system to mobile devices.